– Usage scenarios: air compressors, pneumatic tools, gas connection installation, effective filtration of air moisture. 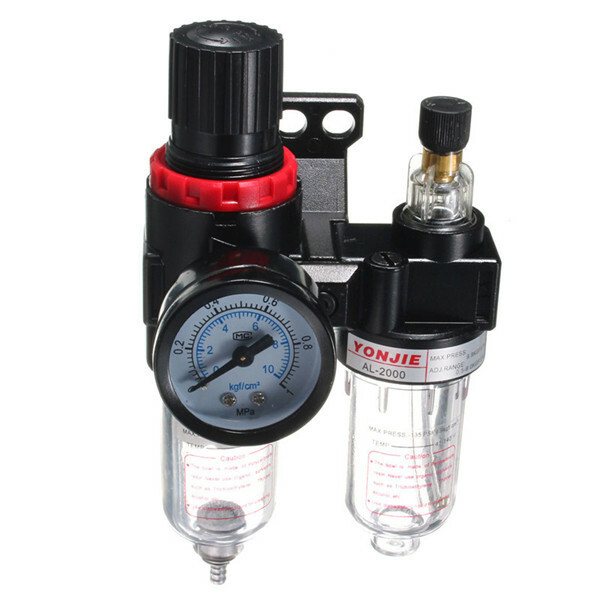 – Use to control the pressure element and the backlog. – It uses the intake throttle pressure, by the force balance and overflow regulator. – To change the gas line pressure, first pull out the hand wheel, and then to get any pressure within the specified range through mediation plastic handwheel. – Clockwise to increase pressure and anticlockwise reduce pressure.